Maintaining good data security is one of the most important things you can do for your business in the twenty-first century. Within the last couple of weeks, alone, we’ve seen major data breaches for the likes of broadband provider TalkTalk, British Gas, and Morrisons supermarkets. With three big breaches within just a few days of each other, it’s evident that hackers are active and able to gain access to customers’ and/or employees’ information whenever they find a vulnerability in a company’s system. You may be wondering, as you see case after case of breached bank account data and credit card information, what you can do to avoid becoming the subject of the same kind of headlines. These tips should put you on the right track to avoid data loss or theft. 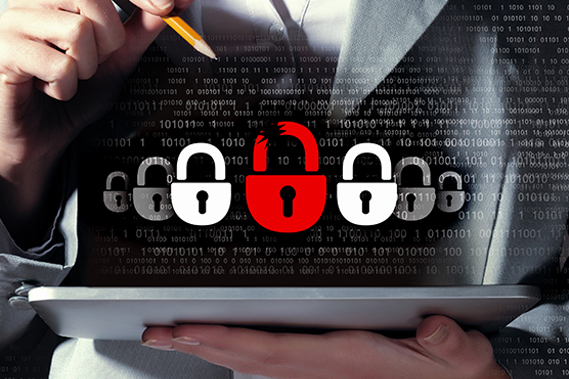 Weak and/or overused passwords pose one of the biggest threats to security for any business. If your employees have weak passwords, a simple dictionary attack (an attack using a tool to plug word and number combinations into a network login over and over again to crack passwords) will be enough to breach your security protocols. If you have employees who use the same passwords over and over again for different logins, then a hacker who figures out one of them will have access to all of them. Likewise, the longer passwords remain the same, the more likely a hacker will be to crack them. To avoid all of these pitfalls, just implement security protocols that require users to create unique, strong passwords and to update them on a regular basis. Whether you’re storing it in the cloud, transferring it through a wireless network, or storing it on in-house servers, make sure that all sensitive data is encrypted. That way, even if someone gets physical access to the computer it’s stored on, they will have a hard time decrypting it to actually breach your customers’ data. Your employees should already know not to connect to any unsecured network on their mobile devices, but that’s not the only way that one of them could end up with a hacked phone or tablet. So, as you set up your security protocols, you’ll want to ensure that all of your company’s mobile devices are secured as well as your network at headquarters. Finally, if you don’t know where your vulnerabilities are, it’s a good idea to call in the cavalry – and by “cavalry,” we mean a professional data security consultant. This person or team will perform penetration tests on your system and will put your current security protocols to the test to ensure that you are not at risk for an attack. Then they’ll make recommendations for upgrades and updates to help you stay secure. With these four simple steps, you will be able to breathe easier, knowing that you are at a significantly reduced risk for an attack. Improve your data security today and build trust with your customers for tomorrow.